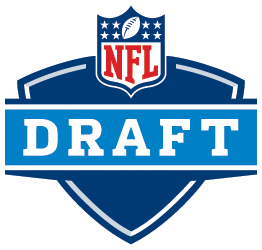 The 2014 NFL playoffs are still in full swing, but what matters to collectors, or at least rookie prospect collectors, is the order of the 2015 NFL Draft. While the order for the 8 teams still in Super Bowl contention has yet to be determined, the 24 teams that have been sent home know exactly where they stand in the draft pick order. Defensive players have been popular first pick choices, but 2015 is looking like the year of the QB as both the #1 and #2 teams to pick could use a new offensive leader. The real question will be which player will be chosen as the #1 overall pick, Oregon’s Marcus Mariota or FSU’s Jameis Winston who just confirmed he will be entering the draft. The most likely candidates for the first defensive pick will be either USC’s Leonard Williams or Nebraska’s Randy Gregory. Here is the current known order for the first 24 picks of the 2015 NFL Draft. Next to the team’s name is their 2014 season record, with the worst record getting the first pick. In the case of a tie, the order was determined according to strength of schedule. Remaining playoff teams, order TBD according to playoff results.